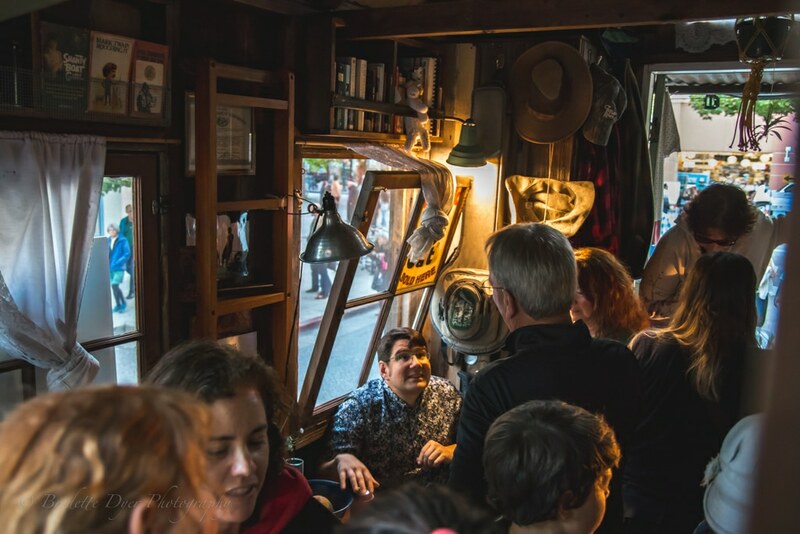 SANTA CRUZ >> UC Santa Cruz lecturer and artist Wes Modes leaned against his shantyboat’s helm by the wooden dinette and his dog, Hazel, while he distributed free postcard photos of the 1940s-style vessel’s journeys on U.S. rivers. 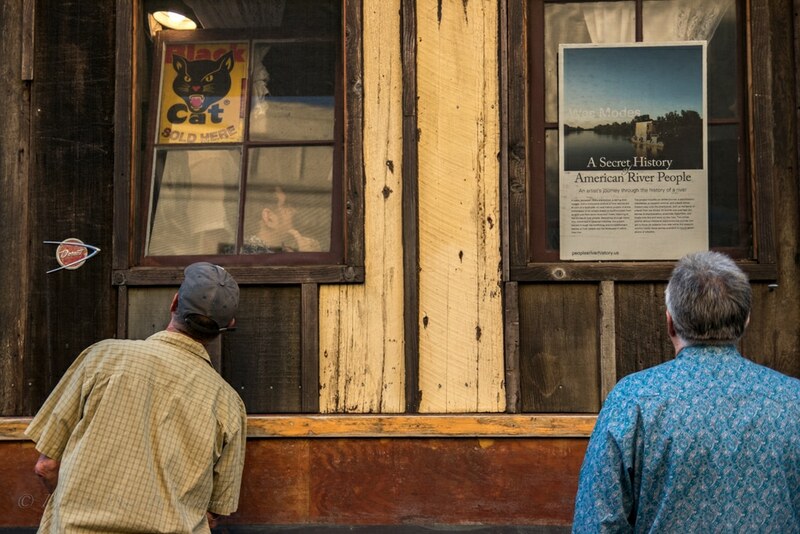 The boat was abuzz with questions for the captain and shipmates about the long-term project — A Secret History of American River People — to preserve “lost narratives of river people, river communities,” Modes said. 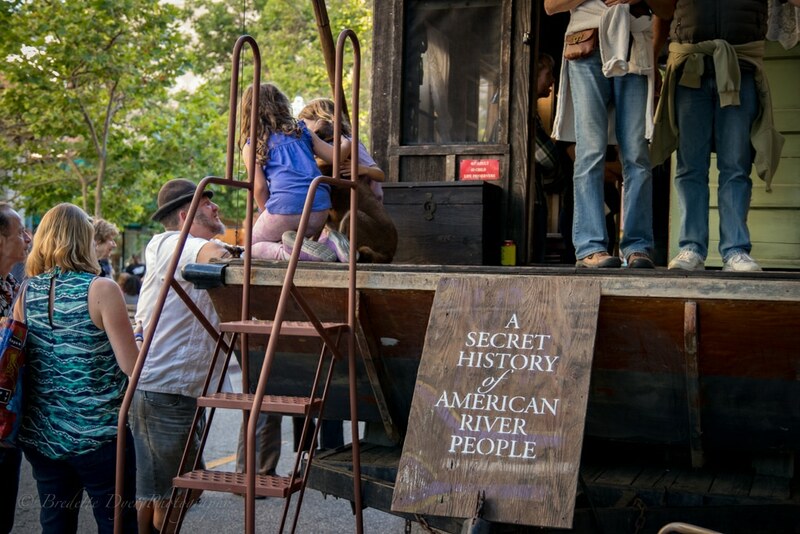 The boat, which has traveled more than 1,250 miles on the Upper Mississippi River, Tennessee River and Sacramento River, perched on its trailer at the Ebb & Flow River Arts Festival Tannery Celebration on Saturday in Santa Cruz. “In the 20th century, until the 1950s, there were shantyboats in every river community in the United States,” Modes said. On the dinette, a boat salon table, a bouquet of flowers stood in a Mississippi Mudd beer vase. A copy of Mark Twain’s “Roughing It” was among dozens of books shelved near the boat’s tin ceiling and loft. Visitor Scott Munro of Santa Cruz sat at the table, asking questions about the crew’s adventures. 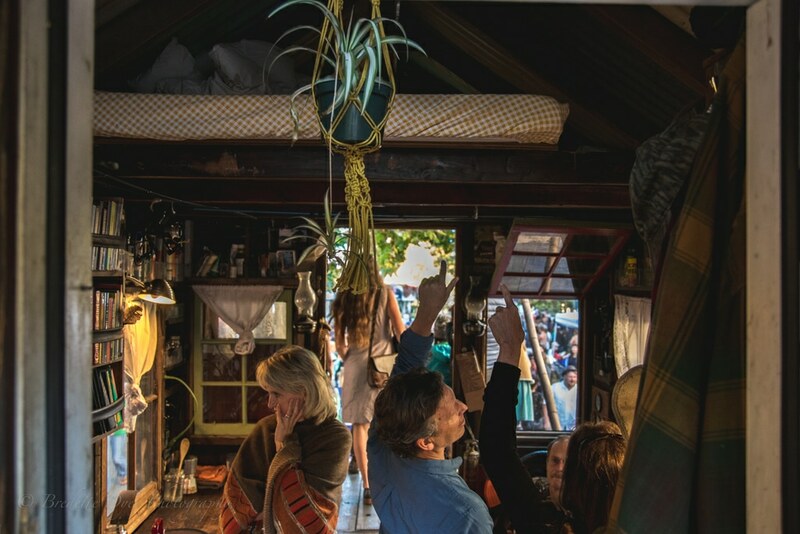 He said the shantyboat and the festival enliven awareness about the San Lorenzo River’s natural value. “This festival reminds folks there’s a viable river here,” Munro said. The festival, first held in 2015, started Friday by host Arts Council Santa Cruz County to showcase the city’s primary supply of drinking water that hosts more than 200 species of birds, fish and other animals, according to ebbandflowfest.org. Noel Warwick, dressed as “Steelhead the Knight” with a rigid papier-mâché helmet, participated in a living treasure hunt designed to teach youth about the river’s natural cycles, its ebbs and flows. “This is so important. It is the only way we can affect change on how people view the river as a natural resource,” Warwick said. Another actor, Sharon McGraham who was portraying “Madame Drought,” was lurking and offering dry gifts, such as twigs. “The lesson is to conserve water,” McGraham said. Another man dressed as “Flood the Pirate” walked around with an umbrella, trying to steal back tokens children reaped from other characters to teach them the costs of excessive rain, organizer Suzanne Schrag said. People throughout the U.S. are concerned about the health of their rivers, said Jeremiah Daniels, a shantyboat shipmate and fellow boatbuilder. “It’s great to see that common humanity in all the places we have been,” said Daniels, who has a ceremonial plaque in his name in the “art gallery,” or bathroom, on board. 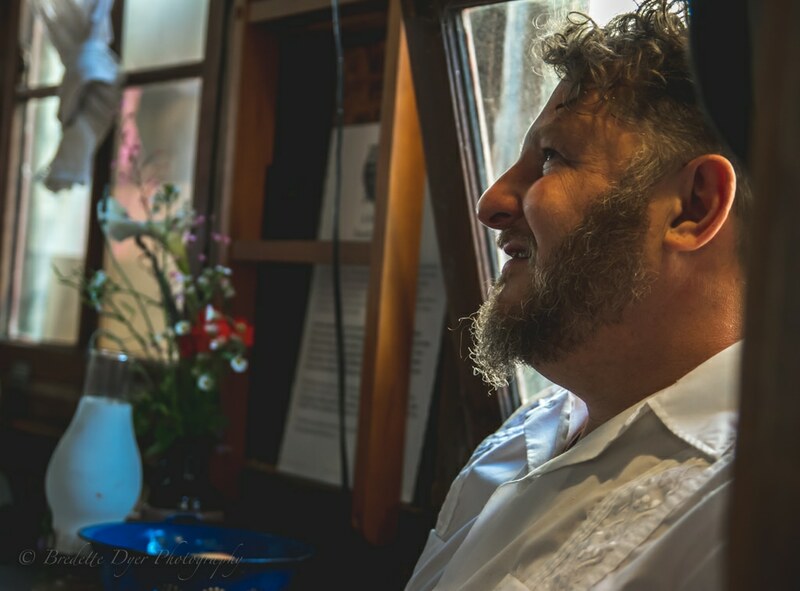 While traveling, Modes and his crew interview people with knowledge about the shantyboat culture that was not based on recreation. “The river was not a fun place to hang out,” Modes said of the working-class, floating communities of the early 20th century. “We seek out people whose stories won’t normally get added to the historical record: People of color, women, we want to hear their stories,” Modes said. 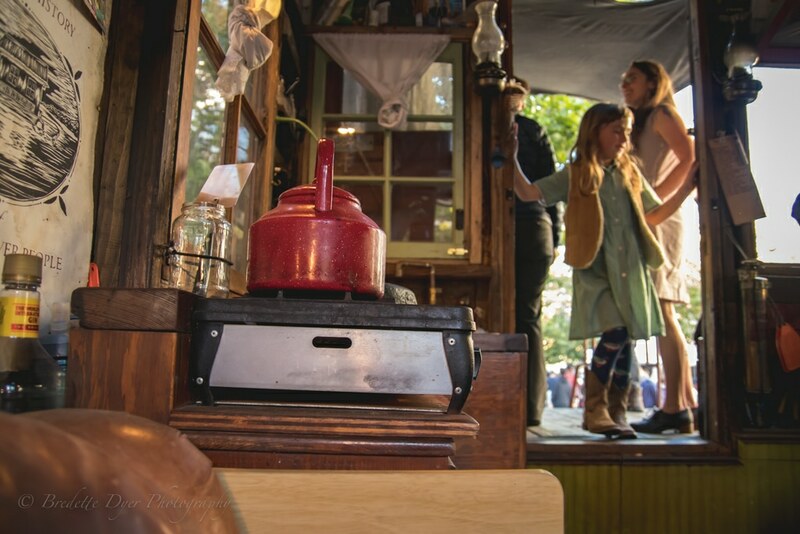 The shantyboat will tour the Hudson River in New York this summer. Most major U.S. rivers have become “gentrified” and developed, displacing traditional shantyboats, Modes said. For information on the project, visit peoplesriverhistory.us.